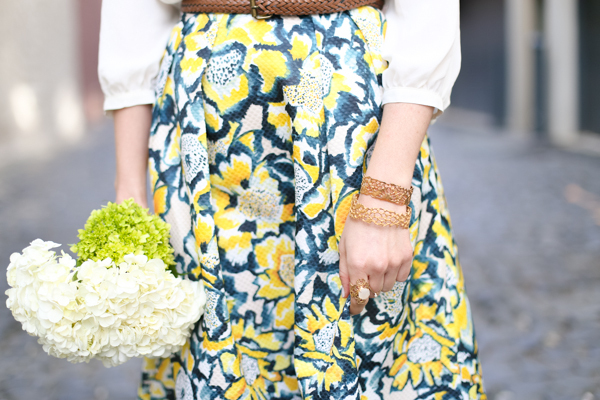 The bohemian trend always takes over in a big way for spring. Photos of fringe, lightweight garments, mixed patterns, and honey-toned soft suedes flood my newsfeed this time of year. 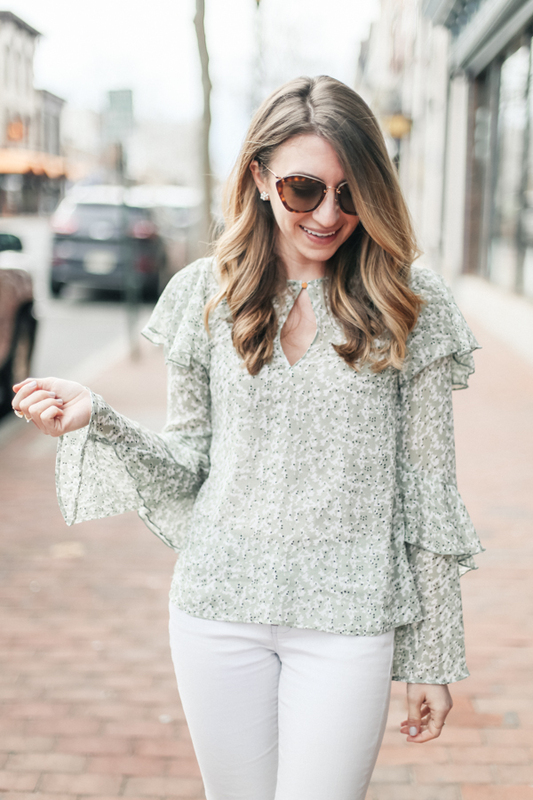 Aside from florals and maxis, there is very much a major spring trend focused around "the new bohemians." It's more free-spirited and flowy. I'd consider it Parisian-chic meets festival. It's an elevated look that doesn't feel too hippie, but yet still pulls in major relaxed vibes. 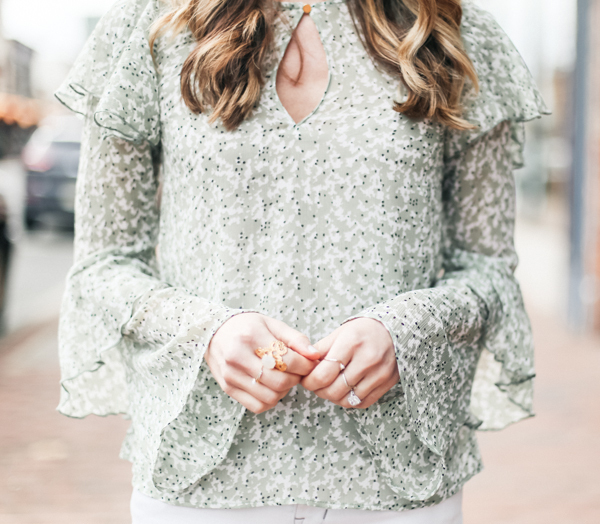 This ruffled chiffon blouse perfectly fits the bill for boho-chic style. The crinkled detailing is so delicate and the long, flared sleeves makes the look very playful. I bought this particular top at H&M for under $34. H&M becomes my go-to retailer this time of year because they are always on top of their spring fashion game. I love that I can walk out with bags full of clothing and not feel too guilty about the price tags. It's always reasonable. 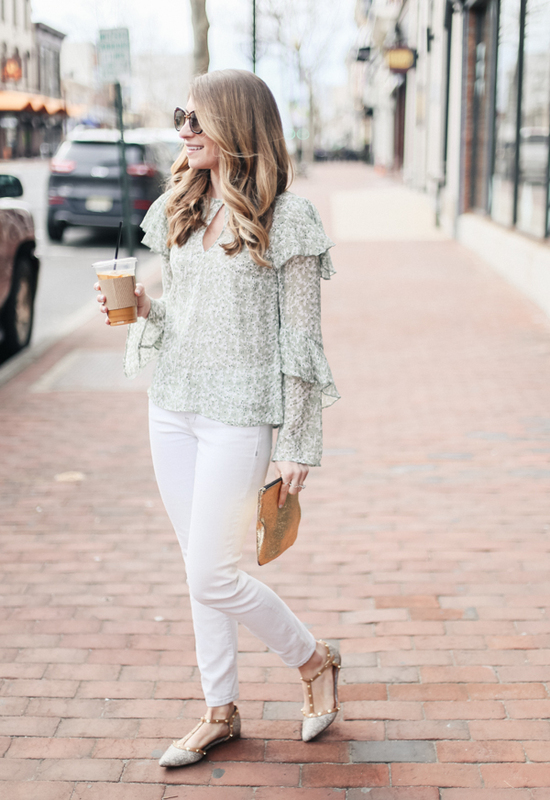 If you are inspired by this outfit, I've linked to the exact look below along with several other boho-inspired tops. Happy shopping! 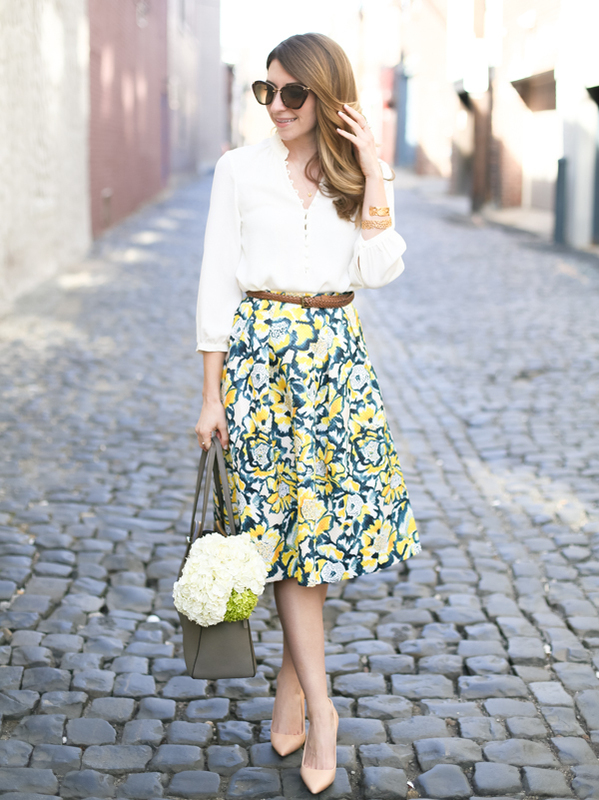 I am loving wide leg pants for Spring. You can wear them to the office or even out for cocktails with your friends. I typically only wear skinny jeans so it's nice to mix things up and try something a little different. The floral print on this pair is super vibrant and fun for the new season. 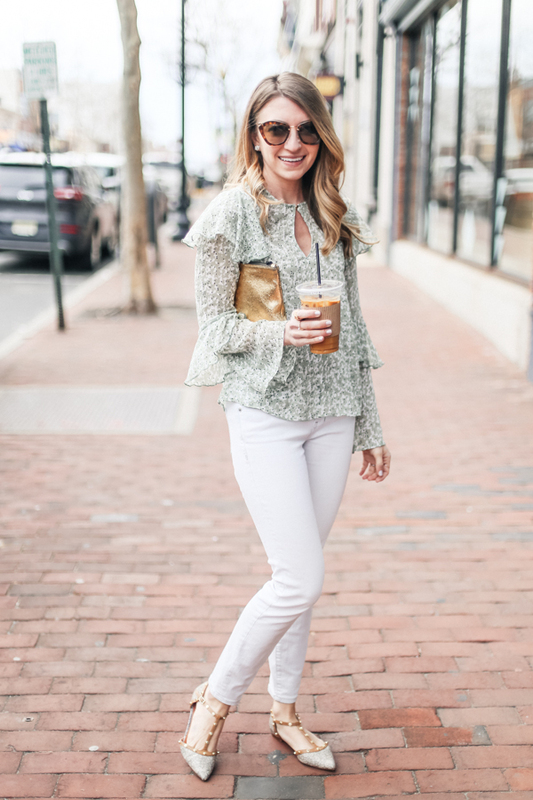 There's something so chic and classic about wide leg pants and I love that this particular style is not too baggy. The pants run true to size and are the perfect length. I didn't even need to hem them! If you are interested in grabbing a pair for yourself click through the shopping widget below. Psssst...they are under $50. Happy shopping! 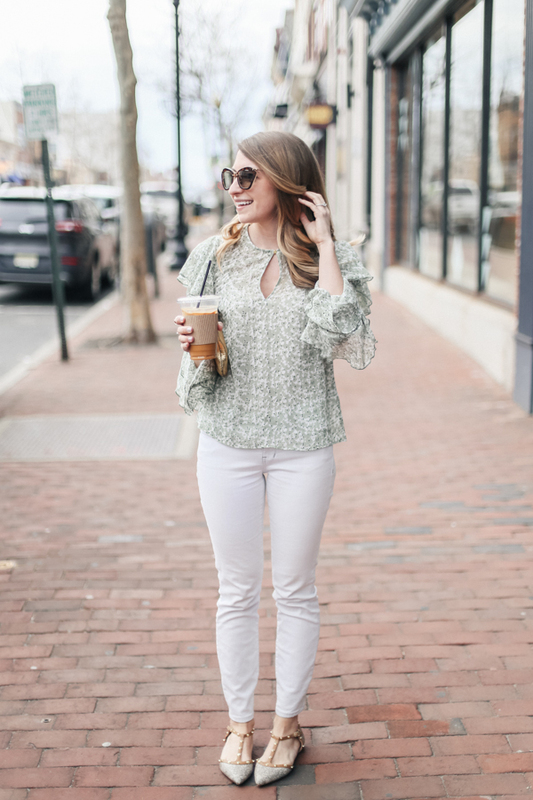 What new items do you have on your list for spring? To create a seamless ensemble head-to-toe, whether it's casual or dressy, accessories are required to bring the outfit to life. Have you ever wondered why Europeans look so insanely chic? It's because they have mastered the art of accessorizing. They know how to highlight certain body parts and conceal others. I am personally still trying to figure out which accessories work for my body, but I have been trying to steer clear from trendy jewelry and move in the direction of timeless pieces. Take this French Cuff, Bangle, and Ring for example, all three pieces are from Jessica Ricci Jewelry, and they work together to create a cohesive look. They do not distract from the outfit itself, they simply add elegance and dimension. 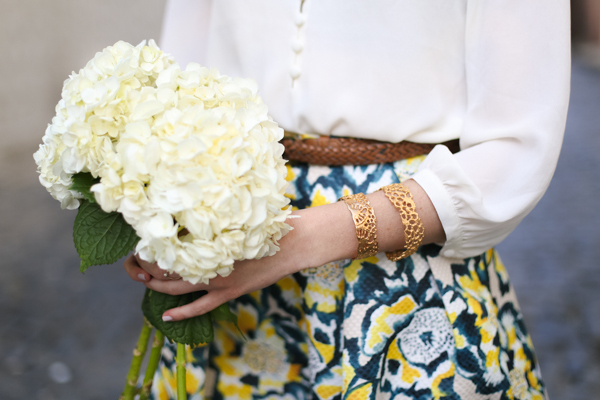 These are the jewelry items you will want to have in your wardrobe for years to come. To add an extra layer of sentiment, opt for pieces that have been transformed or passed down. Jessica Ricci makes it her personal mission to unearth new pieces from around the globe. 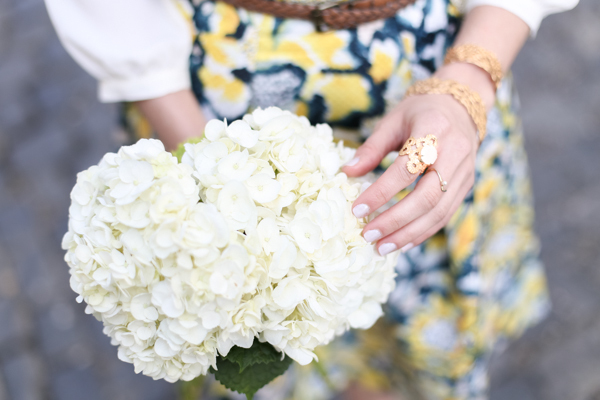 The three items that I am wearing above (French Cuff, Bangle, and Lace Ring) were all inspired from the elegance found in Paris. In fact, these pieces were re-created from "200-year-old lace," how cool is that? Jessica Ricci's entire collection is stunning and I really love knowing there is a special story behind each design. With Mother's Day just around the corner, Jessica Ricci's jewelry would make for an exceptional gift. If you are looking to pick up a few pieces for yourself or for a loved one, use code "dressedbyjess" for 20% off any order. All you have to do is give them a follow on instagram and make the purchase within the next week! 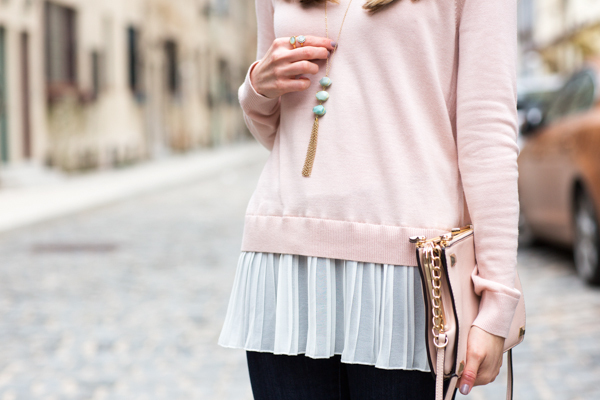 I've been gravitating towards loose, easy tops like this pleated sweater. 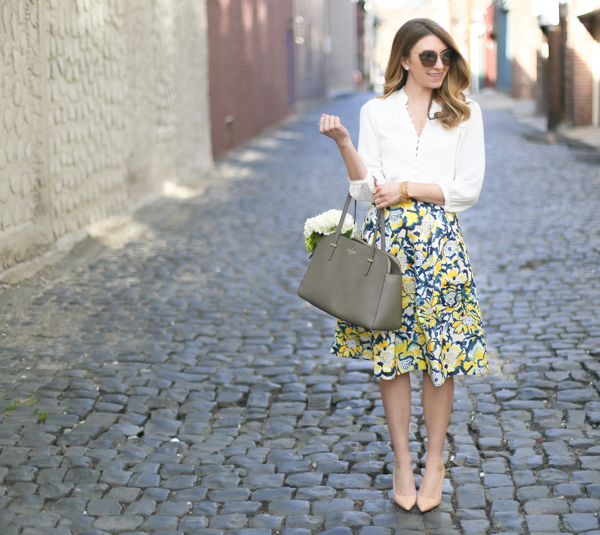 They're so versatile and can be dressed up for date night or down for casual events. The weather is finally starting to warm up here in NYC and I'm so excited to incorporate new color tones into my wardrobe. Am I the only one that gets sick and tired of winter colors? It's also worth mentioning that I am so totally over wearing boots. I don't care if my feet freeze, I refuse to wear them until next November. From now on it's all flats, pumps, and (eventually) sandals. 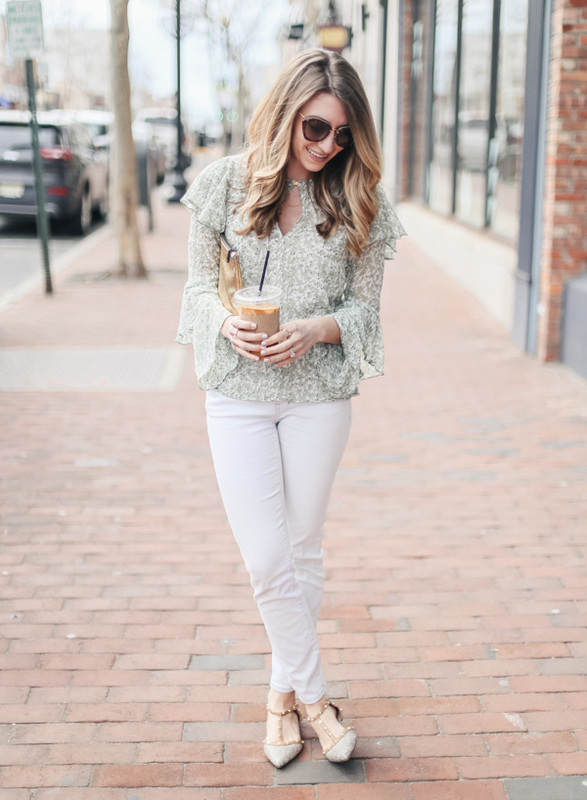 I am slowly ordering spring pieces like this flutter cape romper and these chic lace up flats. I'm trying not to break the bank in the process of updating my wardrobe so I will definitely keep you posted on deals that I find. Consider me your personal style hunter ;). Guys, I have a secret to admit. These Miu Miu sunglasses have been on my "want-need-love" list for years. I so badly wanted to purchase them, but could never justify spending $200-$300 on trendy sunglasses. Don't get me wrong, I do own a few pairs of designer sunglasses but they are classics and wearable for years to come. 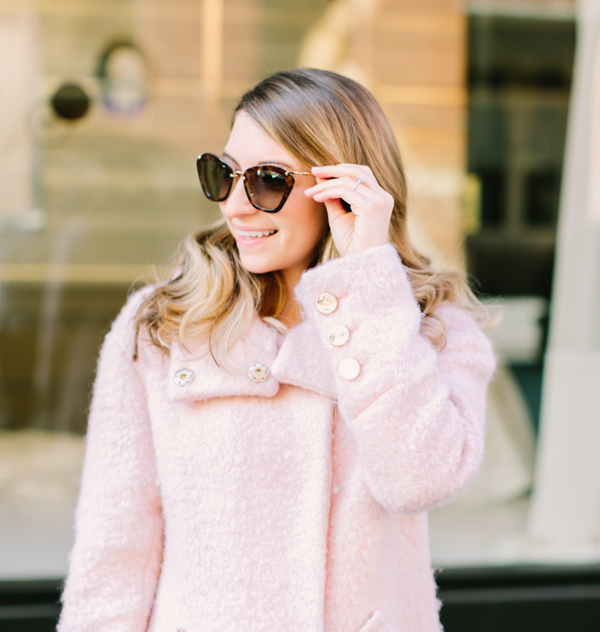 When I discovered DITTO's $24 monthly endless eyewear program I was so excited to give it a try. How it works: after you sign-up you can browse their online collection and select your favorite pair. There are so many great designers to choose from, I felt like a kid in a candy shop when searching for my first frames. In some cases, popular styles may temporarily be unavailable, but DITTO will notify you when they are back in stock. I received my sunglasses within 5 business days and have been wearing them ever since. That is the beauty of this program- wear them as often as you like before swapping them out for a brand new pair! These super chic Lanvin sunnies might just be next on my list. If you are interested in trying out the program the first month is free (lucky you!) if you use my code getdressedbyjess. Disclaimer: you will need to provide your billing information and if you do not cancel after a month you will be charged. However, with the summer months ahead, trendy, cool eyewear is a must and I don't think you will want to quit anytime soon. If you decide to give the service a try let me know what you think. I'd love to hear from you!